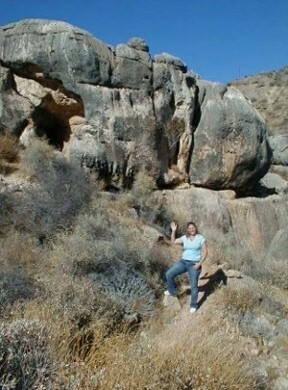 On Sept. 17, 2005, Elizabeth and I traveled from El Rosario to the Las Pintas petroglyph site and fossil grotto. Travel directions follow the photos. 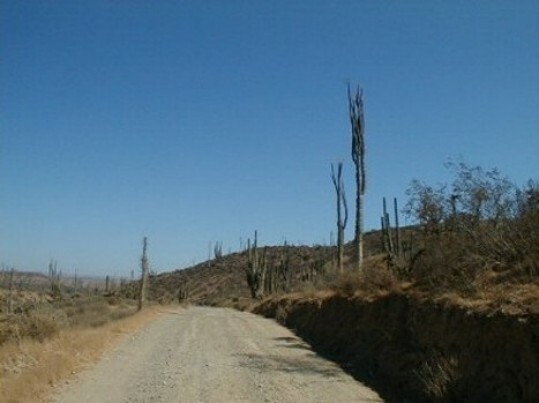 The first 17 dirt miles are over this well graded road that ends at Punta San Carlos. 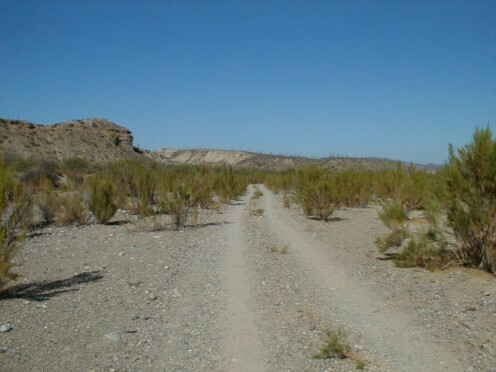 The final 7 miles are over a single track road. Here shown in Arroyo San Fernando. 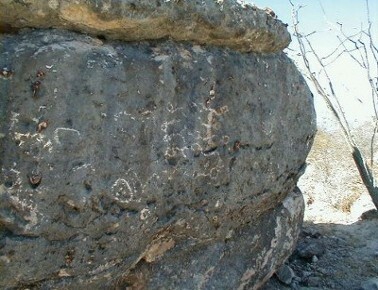 Las Pintas is a jumble of huge boulders, covered with petroglyphs and fossils. 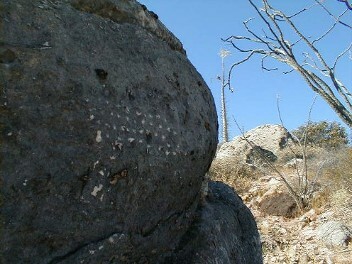 Trails go around the boulders and also into the middle of them.